Portable fans are simple and powerful ventilation units for service, repairs and other temporary work. Ideal as an extractor for welding fumes, steam, dust or for providing fresh air during work in confined and enclosed spaces. Ideal for use where high volume air delivery is required. Especially suitable for ventilating confined, hot or fume laden work sites, typically as found in boats, cable/pipe ducts, roof spaces etc. 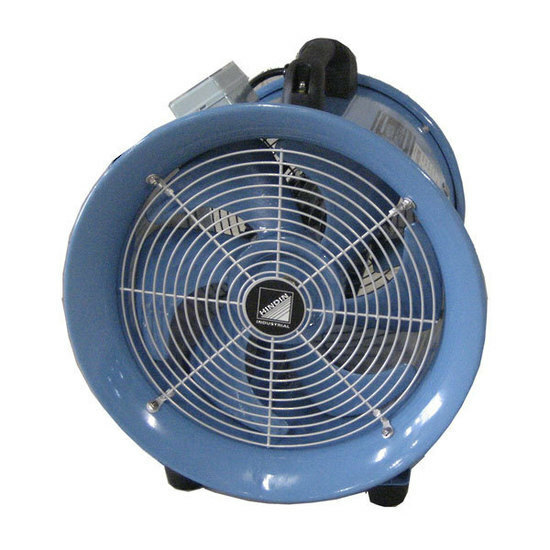 DRUM FANS are versatile fans for instant cooling and ventilating. They can be used in public areas, special events and functions, factories, warehouses, assembly halls, schools and shopping malls.